Many people know about the wisdom teeth, as well as their tendency to induce a lot of discomfort when they emerge. Because our third molars are no longer necessary, our jaws are not structurally able to accommodate the extra teeth, leaving our third molars to erupt where they see fit. We know that the coming in of your third molars can be painful for some, and Drs. Weil and Koo are able to take care of your situation by offering wisdom teeth extraction to his patients! The important thing to us, besides your comfort, is making sure that you are well informed throughout the entire extraction process. There are very few people who have the jaw structure able to house the third molars; most, however, are not. 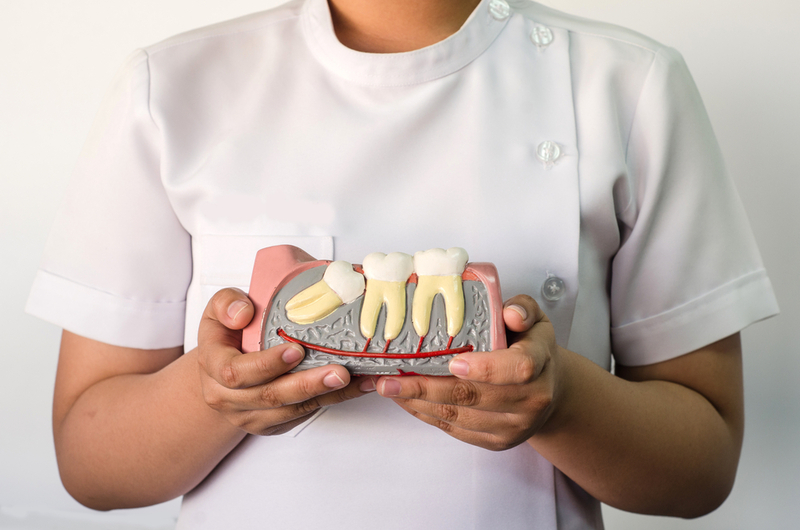 If your jaw is not able to have room for your wisdom teeth, some of the effects that can take place with your smile are crowded teeth, partially erupted wisdom teeth, or impacted wisdom teeth. When your teeth are partially impacted, that can lead to germs multiplying, causing infections or even cysts. Also, partially impacted teeth can be detrimental to your smile in regards to room, as they will find any convenient direction to emerge. Whether it is sideways, backwards, or vertically, the teeth will find any way to come through, causing the rest of your smile to possibly be in danger. Though the thought of an extraction does not sound like the most appealing way to spend your time, the good news is that wisdom teeth extraction is a routine, simple procedure than can be done quickly and efficiently in usually one office visit. We will also provide a prescription for pain relievers, as we do not want you to be in any sort of discomfort.